Dispatch 28: AllSwell joins Robyn Moreno // Rethink. Restyle. Relax. Intro: The year is still new, and the opportunities are endless. Whether you are in need of style intervention or are looking to boost your creative edge; Robyn Moreno will show you the way. Working with what you have, then “workin’ it mama”, Robyn helps women to be resourceful within their lives and careers and most important how to have fun! Whats the point of having the life you want if you aren’t loving it? Check out Robyn’s latest video on how to make Easter fun with your kids. 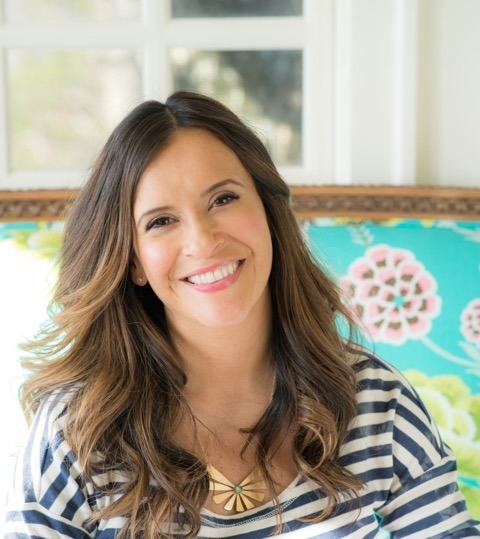 Trade: Latina Lifestyle Expert, Emmy-nominated TV Host, Author, and Mother. As a busy lady entrepreneur, editor (and mother of two cuties), what do you to keep your creative edge? My kids inspire me endlessly! Taking to time play actually is proven to boost creativity, so from drawing or sketching to reading adorable (and insanely imaginative) books, I feel my kids give me a sense of fun and wonder than informs my other endeavors. What rituals help you stay on track professionally and personally? I try and wake up earlier than the rest of my family, so I can get a little quiet mediation or reflection time. As a busy #momboss, carving out alone time is paramount to staying sane and happy. And its a wonderful way to fill my own well, before I spend the day outputting energy, love, and ideas to others. Who are two creative people that inspire you — one historical figure and one that’s still breathing? Frida Kahlo and Elizabeth Gilbert. Frida Kahlo is inspiration personified: her clothing, her art, her garden, her home, she used her deep pain and tragedy to create a vibrant, abundant, and unapologetic life. She was fully self expressed, and that moves me. I met Elizabeth Gilbert this past summer when we both presented at the Omega Institute and I’m now reading her book, Big Magic, which I adore. She speaks about living life with a “stubborn gladness” and it resonates with me. I am very hopeful person, and her commitment to her art and enjoyment of life is something I feel we should aspire to. What circumstance/s can you recall in which putting pen to paper was particularly helpful? I cant think of a time that writing wasn’t healing for me, though it was particularly profound after the birth of my first daughter when I suffered from post-partum depression. I actually started my blog and newsletter at that time as a way to articulate what I was feeling: sadness, joy, wonder, loss, confusion. I found a new type of writing style for me and a new audience. The truth always resonates and transforms.